● Return all Spell and Trap Cards on the field to the hand. ● Destroy all monsters your opponent controls. 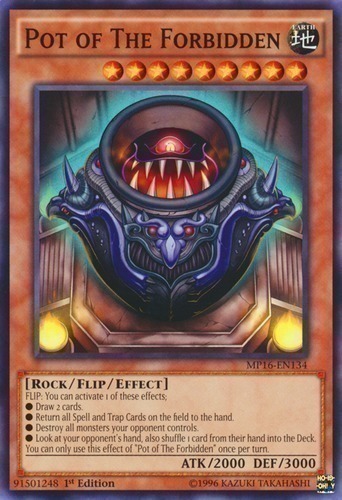 ● Look at your opponent's hand, also shuffle 1 card from their hand into the Deck.